Manta rays, a species close to the heart of every diver, are at risk of extinction. The time is now. If you are a renewing PADI Member (Divemaster, Instructor and above), then you can make an urgent donation with your PADI Member Renewal to protect mantas globally. 4) Complete the PADI Member Renewal 2013 Form which includes info about the special offer. FACT: Your support has already helped Project AWARE and our conservation partners succeed in safeguarding the globally threatened giant manta ray and its key habitats under the Convention on Migratory Species of Wild Animals (CMS). Project AWARE relies on you – the PADI Member – to help raise critical funds and take action for ocean protection. We’re working at every turn to ensure that mantas will not disappear on our watch. Don’t forget to replace your PADI Certification Card with Project AWARE’s new Manta Ray Card. Show your student divers you’re mad about manta rays in 2013. If you haven’t set up your store profile, it only takes a few minutes. 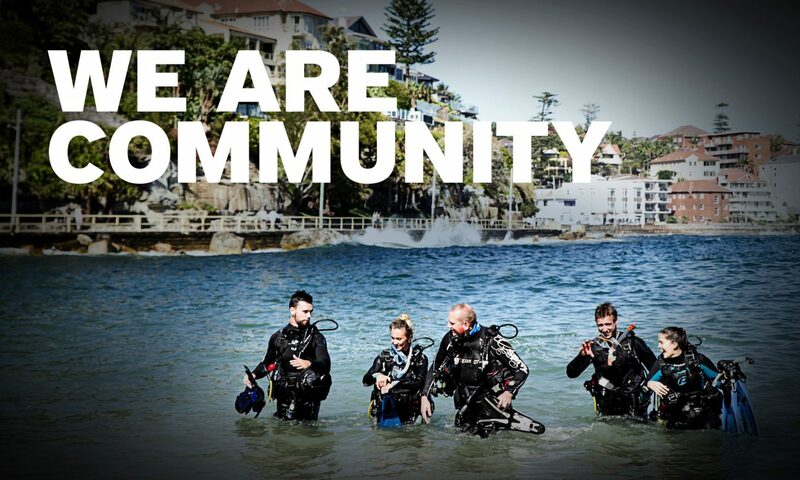 Add your logo, links and About Us info via the PADI Pro’s Site, then click through from the ScubaEarth icon on the home page to see ScubaEarth in action. For complete instructions, see our previous posts. If something hasn’t been working for you, these troubleshoot tips below will help! For example: if we were to paste in the entire web address below – the link won’t work. Only the part highlighted in yellow should be input to the PADI Pro’s Site. Some businesses may have a “vanity” Facebook link (see example below). Here are correctly-formatted examples for a ScubaEarth blog feed using Blogger and WordPress (the two most popular platforms). Copy and paste the appropriate link into the Pro’s Site – substituting your blog’s name for blogname. Before saving your final copy, look for special characters such as an ampersand (&) quotation marks or apostrophe’s. These characters may not display correctly – the ampersand cannot be used at all. Solution: an apostrophe or quotation mark is causing the problem. For apostrophes – put a space before the apostrophe. For quotation marks, put a space to the right of the quotation mark. Joe ‘s Diving Locker offers scuba & snorkel tours year-round. Visit our website, or call us to book your adventure today. ScubaEarth is in Beta – help us improve the site by reporting any problems you may be experiencing not addressed in the article above. Click the Bug Reporting link on the left side of the screen when logged into ScubaEarth (see screengrab below). You will be asked for your browser and operating system. To obtain this information, visit this helpful website: thismachine.info. Congratulations to Two Fish Divers who are recognized this month as a Project AWARE Foundation Feature Member. 3 locations, 9 Dive Against Debris events and a whole load of rubbish! My Ocean is a global movement for ocean protection and is people-powered. My Ocean community members seek to connect and scale up local actions for change. Two Fish Divers is owned and run by Tina & Nigel, an English couple who are BSAC & PADI Instructors, and they have been living and diving in the area since 1999. Thank you to everyone who has been active on My Ocean and thanks for supporting Project AWARE. Are you going to DEMA next Month? Take control of your business and your career at the world’s only international, trade-only event for the scuba diving industry. Mark your calendars for DEMA Show 2012, November 14-17 at the Sands Expo Convention Center in Las Vegas, Nevada. The OZTeK Dive Conference and Exhibition will be held on the 16-17th March 2013 in Sydney, Australia. This exhibition caters to every level of diving interest and promotes the excitement and adventure of diving. The exhibition will feature everything that divers need; from cameras to compressors, regulators to rebreathers, snorkels and scooters, facemasks and fins. Information will also be provided about exotic overseas dive resorts and great live-aboard trips. The world’s leading equipment brands, accessories and travel destinations will be on show at OZTeK 2013. With more than 60 presentations, seminars and workshops focused on the very best of diving ‘info-tainment’, the OZTeK 2013 Conference offers an inspirational voyage of discovery into all of diving’s future possibilities. Congratulations to @Blue Guru, Thailand for becoming a @Project AWARE Foundation Feature Member this month. Blue Guru Conservation is based on the remote tropical island of Koh Phra Thong, accessed by traditional long tail boat from Kuraburi on the Andaman Coast. The Risk Management Seminar and 2013 Insurance Information Night took place on the 3rd of October, 2012 at the North Sydney Leagues Club. The main topics of the evening were the DAN Diving Statistics and Safe Work Australia Diving Regulations. Also discussed was the 2013 Insurance Policy and its relevance to the new SWA Regulations. Over 60 people attended what was a very informative night. Sunday saw the world’s largest Dive Against Debris underwater cleanup take place in Phuket, Thailand, in support of Project AWARE’s Dive Against Debris month of action. Go Eco Phuket saw over 500 divers and 200 volunteers unite to help make a positive difference to the underwater environment. Supported by the Thai Government, PADI Dive Shops, PADI Professionals, PADI divers as well as a vast range of volunteers, Go Eco Phuket was officially launched by Raywat Areerob, a member of the Thai Parliament. The day itself started off with 14 vessels, which were generously donated, setting off from Chalong Pier to kick off the clean up. What happened next highlighted the size and significance of the event. The 14 vessels were firstly joined by the Royal Thai Navy who supported the logistical efforts by supplying three war ships, Navy Seals, rescue divers and air support whilst divers safely removed the trash from our reefs! Before long even local finishing boats changed course to help out and remove debris. At the end of the underwater cleanup, an incredible 15 TONS of debris was removed! An amazing effort by anyone’s standard! The media also covered the event to raise awareness of the importance of caring for the environment as well highlighting the great work divers undertake as part of underwater cleanups. After the event, all the divers and volunteers enjoyed the after party where the famous Thai band ‘Job To Do’, kept the masses entertained long into the night. Tony Andrews, PADI Regional Manager, did an amazing job organizing and bringing together the dive community for this significant event. The day would not have been a success without the support of Miss Kerry Leach and Mr Tee, who’s support was recognized live on stage as they received a special Project AWARE awards. A special thanks must also go to the following PADI Dive Shops; Kamala Dive Centre, Jolly Roger, Sea Fun Divers, Scuba Cat Diving, Dive Asia, Kon-Tiki, Joy Dive, South Siam Divers, Chalong Sea Sport, Khao Lak Scuba Adventures, Thailand Divers, Scandinavian Divers as well as all the other PADI Dive Shops involved. A big thanks must also go to the following organizations and groups; BBAP, Hilton Hotels, Laguna Hotels, Skal, Ferang Food Paradise, Phuket Gazette, Phuket 91.5FM, Rumble Fish Adventures, Davinci, Reef Check, Molly Malone’s, Phuket Art, Phuket Beer, Chang, Kata Group, Ric “N” Roll Adventures, Legend of Sound, and Job To Do. Without a doubt the biggest thanks must go to the 700+ divers and volunteers that took part in the Go Eco Phuket event! The underwater environment is now 15 TONS of debris better off, as well as the extra media attention which was raised form the event. Everyone involved is now looking forward to future events!